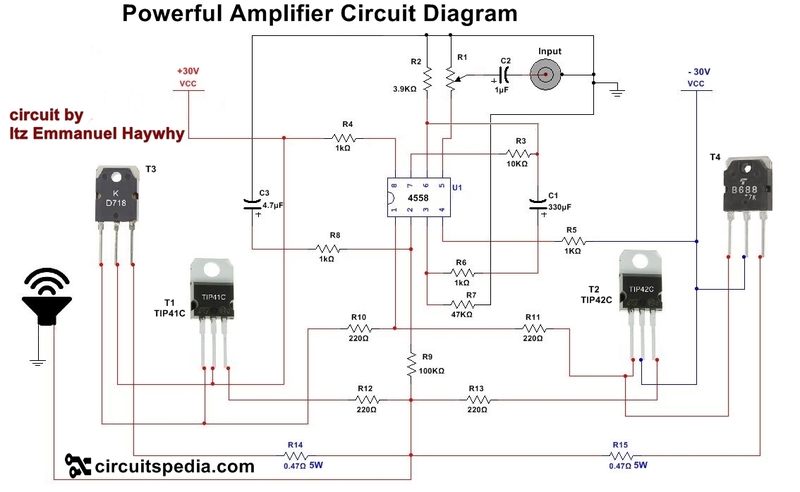 This is circuit diagram of powerful audio amplifier. This circuit is given by Emmanuel. In this circuit one ic 4558 and 4 Power transistors are used with some discrete components. Use 20v-to 60v for operating this circuit. This is a single channel audio amplifier circuit. Use capacitor of minimum 50v value. Positive supply voltage is given at the middle pin of both transistor TIP41C and D718. 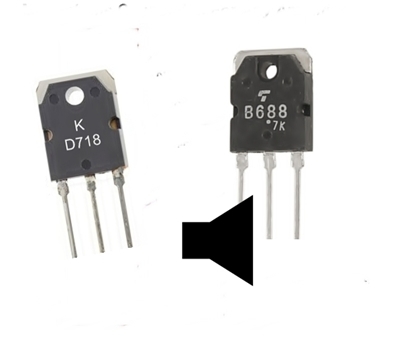 Negative supply is given at middle terminal of D688and TI42C Transistor. R1 is the variable resistor potentiometer for volume control. This vol. control may be value of 50k to 100k. 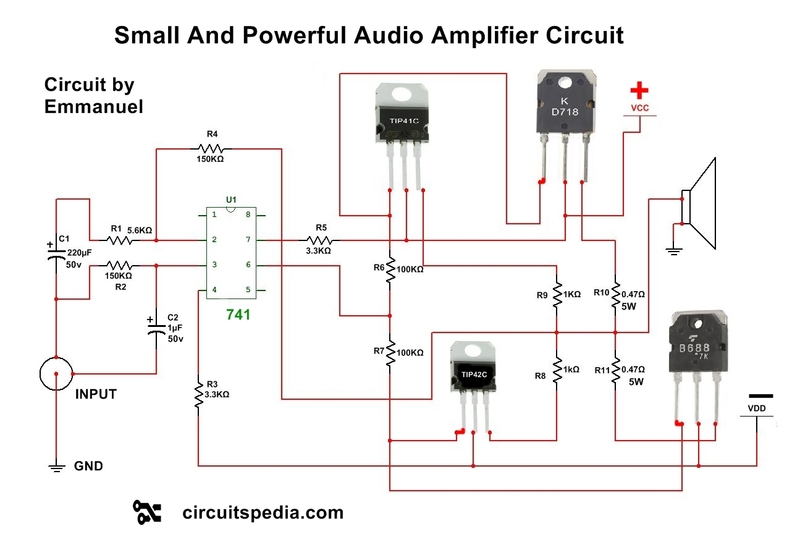 Use Big size speaker with this circuit. 4558 Audio Amplifier Circuit Diagram. This circuit is also based on transistor TIP41C, TIP42C & D688 and K718 . But here ic 741 is used for Preamplifier the Audio .Use At least 18-0-18v dual power supply with this . Power full Amplifire Audio Out put Value?